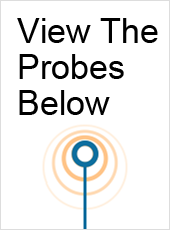 UsedUltrasound.com is your source for virtually any type of used ultrasound probe or transducer, including a complete inventory of refurbished neonatal cardiac probes and transducers at the lowest possible prices. We believe it’s possible to deliver top quality used ultrasound equipment at affordable prices, and we back that up with a 100% satisfaction guarantee. Our dedication to customer satisfaction has earned the trust of medical professionals around the globe who return to us each and every time they need to purchase used ultrasound probes and transducers. If you are looking for the lowest prices on used neonatal cardiac ultrasound equipment, contact us right now and we’ll promptly provide pricing information with absolutely no obligation. We know that it can be hard to find the right ultrasound equipment at the right price, and that’s why we try to make it as easy as possible by offering an extensive inventory at prices that are up to 60% off the original retail cost. Even if you do not see the neonatal transducer you need list on our website, chances are that we can locate it for you so give us a call or fill out the quick contact form and we’ll get started. There is never any obligation to request a price quote, and we are happy to provide one even if you are just comparing neonatal cardiac ultrasound probe prices and not in the market to buy right away. In addition to offering used neonatal cardiac ultrasound equipment for sale at great prices, we can also save you money with one of our affordable ultrasound service contracts. 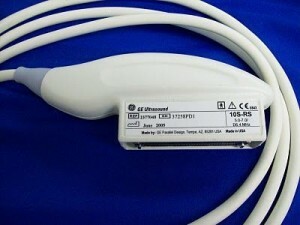 And if you have a broken neonatal cardiac transducer, we also offer ultrasound transducer repair. So please contact us today if you have any questions about our services or need neonatal cardiac probe pricing information. The GE 10S-RS array is a sector transducer for use with GE Vivid S6, GE Vivid S5, GE Vivid i, and GE Vivid q. 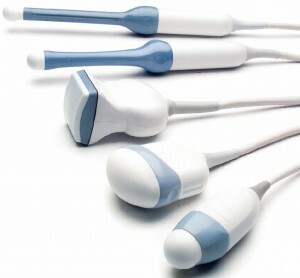 The GE 10S-RS sector probe includes the following components: PW/CW doppler, 2D, Harmonics, color doppler, and M-Mode. 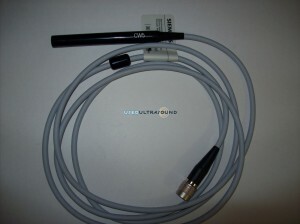 The GE 7S-RS transducer is a sector probe compatible for use with GE Vivid q, GE Vivid i, GE Vivid S5, and GE Vivid S6. Featuring 2D, Harmonics, M-Mode, color doppler, and PW & CW doppler, The GE 7S-RS array is an excellent ultrasound probe.